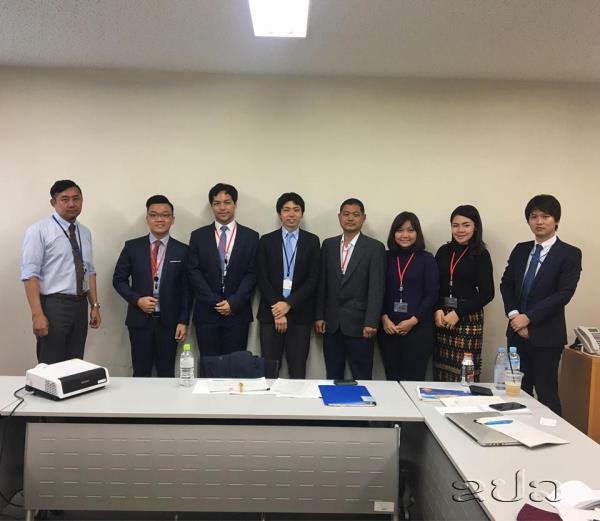 (KPL) Journalists from five Mekong countries namely Cambodia, Laos, Myanmar, Thailand, and Vietnam have attended a media programme funded by the Japanese government in Tokyo, Japan. The programme aims to encourage Mekong journalists to promote Japan - Mekong cooperation for sustainable development which has been stipulated in the “Tokyo Strategy 2018 for Mekong-Japan Cooperation”. Scheduled for Nov 4-11, the programme is a follow-up of the 10th Mekong-Japan Summit Meeting (Mekong-Japan Summit) held in October 2018. The participants have been also briefed about Mekong-Japan relations, the liberal and opened India-Pacific Strategy, the Quality of Railway of Japan and the rebuilding of flood-conscious societies. At the 10th Mekong-Japan Summit Meeting, the leaders agreed to upgrade the Action Plan for A Decade toward the Green Mekong by 2020 to Mekong-Japan Initiative for SDGs toward 2030 at the eleventh Mekong Japan Summit in order to ensure achieving SDGs in the region, and tasked the senior officials meeting (SOM) to start discussions on it.